With Easy GIF Animator you can easily convert video file fragments to animated GIF images. Easy GIF Animator features easy to use frame-by-frame selector and various compression options. You can also resize the video to make the resulting GIF animation smaller. AVI, MPG, MP4, MOV and other video formats are supported. 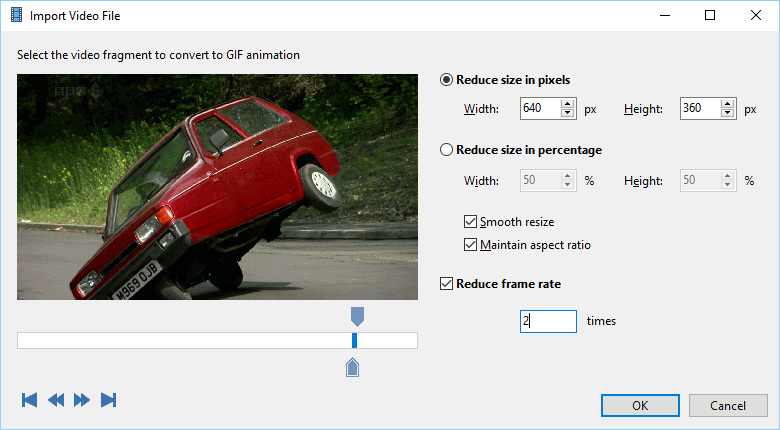 After the conversion, you can easily make adjustments to your GIF animation from the built-in image editor.